In our house over the years, Easter has been a time that we have opened the doors to people. People that didn’t have anywhere to be on Easter. We have entertained many. 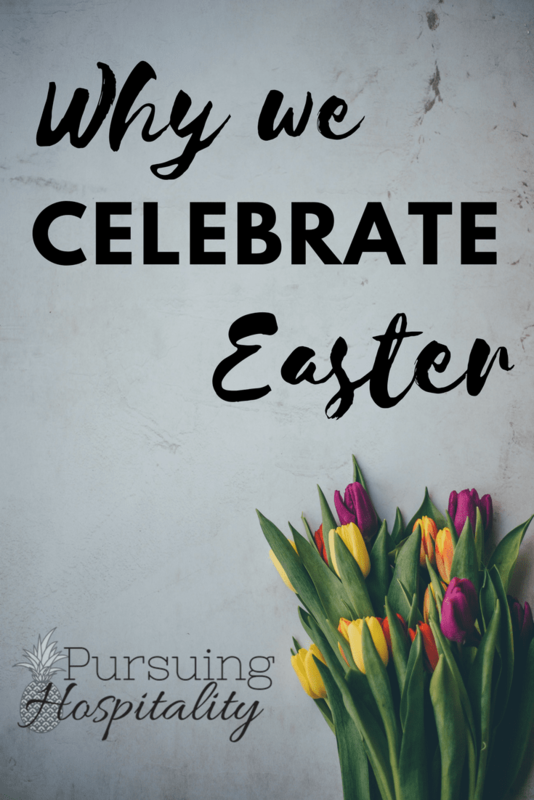 The beautiful part about having guests in our home on Easter is that we get the answer the questions, Why Do We Celebrate Easter. 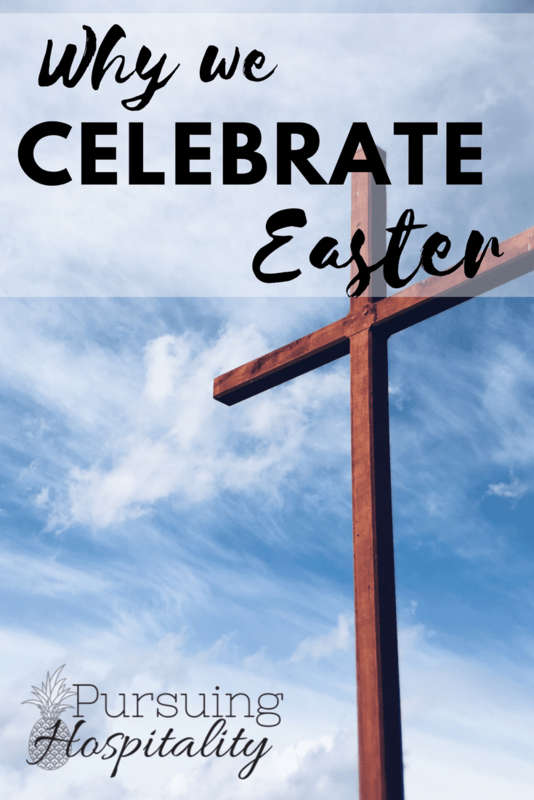 So, Why do we celebrate Easter? As believers in Jesus Christ, we celebrate Easter because this is the day of Christ’s resurrection. The day He rose from the dead and conquered death. The week leading up to Easter is full of fantastic reminders of what Christ did for us. This week was called Holy Week. It starts with Palm Sunday and ends with Easter. Beginning and ending with celebration. Jesus arrives in Jerusalem riding on a donkey. The crowds lined the streets praising Jesus and cheering. You would have thought they knew who they were cheering, but we see how quickly the week turned. This was the day of the last supper that Jesus had with his disciples. This was such a beautiful picture of how we should care for one another. Jesus knew what this week was. Jesus knew he was about to take on our sins and die on the cross for us. He also knew that this was the last time He would be able to invest in his disciple’s lives. Jesus washed their feet and then had the last supper with his disciples. He broke bread. (the symbol of His body) They drank the wine. (the symbol of His blood). Jesus poured into his Disciples. Jesus knew what the next few days included, and He still saw it as necessary and took the time to teach His followers how to care for one another and show hospitality. I struggle with this name for Friday. I understand why it is called Good Friday, but there is nothing good that my Savior had to do to take all my sins away. He was charged and rejected by everyone that was just cheering for him a few days earlier. Then was beaten and had to carry his cross to Calvary. Jesus died a horrible death on the cross and bore all my sins. All of this was done for you and me. That is what makes it good. That is the only thing that makes it good. Everything else, my Christ did not deserve. Praise Jesus; Christ conquered death. Mary Magdalene and Mary, the mother of Jesus, went to the tomb early that morning to start preparing the body for burial. An Angel greeted them at the tomb with fantastic news. Christ was not there; He has risen. I can only imagine the joy they felt. As they were running back to tell the others what they saw, they encountered Jesus. The day I indeed encountered Jesus was in my early twenties. I was probably at one of the lowest points in my life. At least one of the weakest up to that point. Fear had consumed me. The need for control was raging. I feared so many things. Death, rejection, and disappointment. I sat one night in my recliner late into the night. A storm was pounding down outside, and I was scared of the storm. I remember praying for Christ to take the storm away and then continuing to pray for my fears. For so many years I have known Christ. At the age of 6, I asked Jesus to come into my heart. So this was where I thought I was “Taken care of”. I thought I was following Him and his instructions. That night I turned all of me over. I made Jesus my King in my life. I gave him my fears and anxieties. A wash of peace came over me. A feeling of peace that I never felt before. A peace of giving over control and you know what else happened? The storm that was raging outside stopped. That was Christ’s sign to me that He was in control. Today, I still struggle with control but that is a sin that I regularly have to turn back over to Christ, and Christ reassures me. I Celebrate Easter differently now that I have turned my life over to Him. I celebrate Easter because it reminds me of what He did for me. 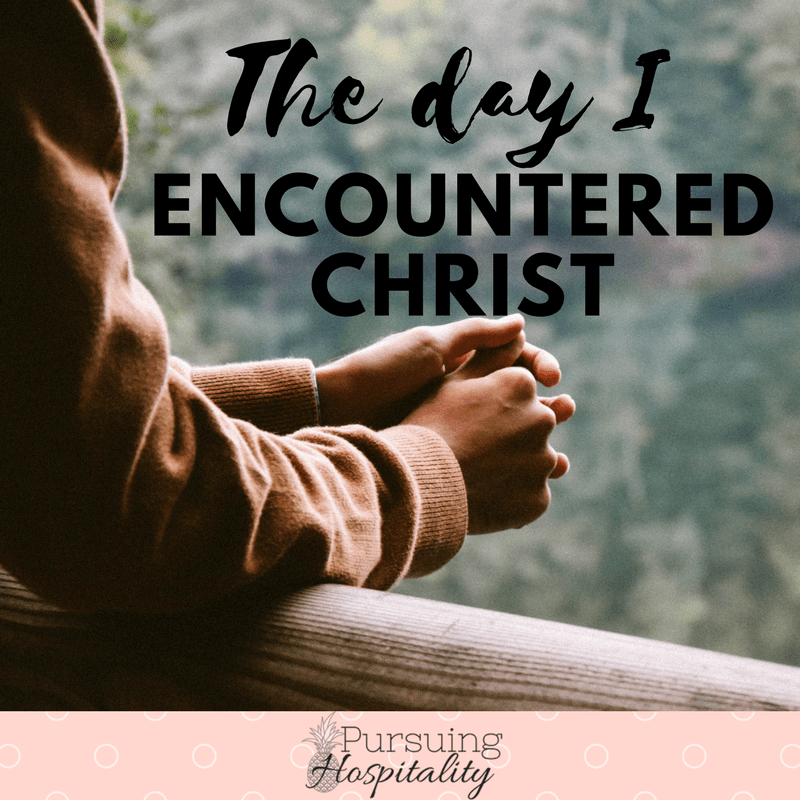 Oh yes, you can encounter Christ. It is the hardest thing you will ever do but also the most amazing thing you will ever do. What makes it hard you ask? You hand your life over. It is no longer yours. You are giving the authority to another. But what is the amazing side of this, you are giving it to the One that loves you the most, cares for you thoroughly and desires to have a relationship with you. He will never leave you or forsake you. Blessings to you and I pray that this post will bring you closer to our creator that loves you more than anything or anyone.